SAN FRANCISCO A San Francisco-area coroner whose office received the bodies of two teenage victims of the Asiana plane crash says officials are conducting an autopsy to determine if one of the girls was run over and killed by a rescue vehicle. San Mateo County Coroner Robert Foucrault says Sunday that senior San Francisco Fire Department officials notified him and his staff at the crash site on Saturday that one of the 16-year-olds may have been struck on the runaway. Foucrault says an autopsy he expects to be completed by Monday will involve determining whether the girl's death was caused by injuries suffered in the crash or "a secondary incident." He says he did not get a close enough look at the victims on Saturday to know whether they had external injuries. 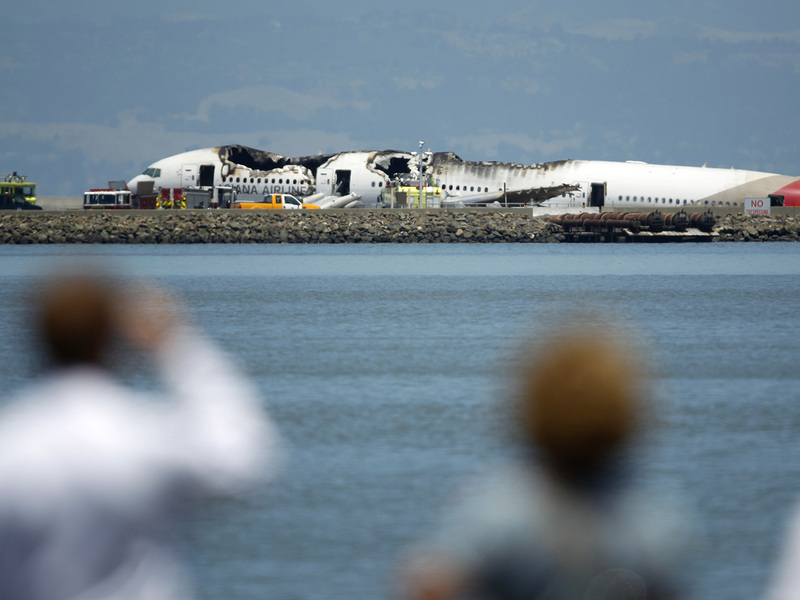 Chinese state media reported Sunday that the two fatalities in Saturday afternoon's plane crash at the San Francisco International Airport were 16-year-old Chinese schoolgirls named Ye Mengyuan and Wang Linjia. The two girls came with a group of 29 students and five teachers from a highly competitive school in Zhejiang, an affluent coastal province. While declining to identify the victims, earlier a San Francisco fire official said both victims had been found on the "exterior" of the plane. A spokesman for Asiana Airlines said the two killed Chinese teenagers were seated at the back of the plane, according to the state-run Xinhua news agency. Xinhua also reports that Chinese President Xi Jinping "expressed great concern over the accident and sent condolences to the Chinese victims and their families."